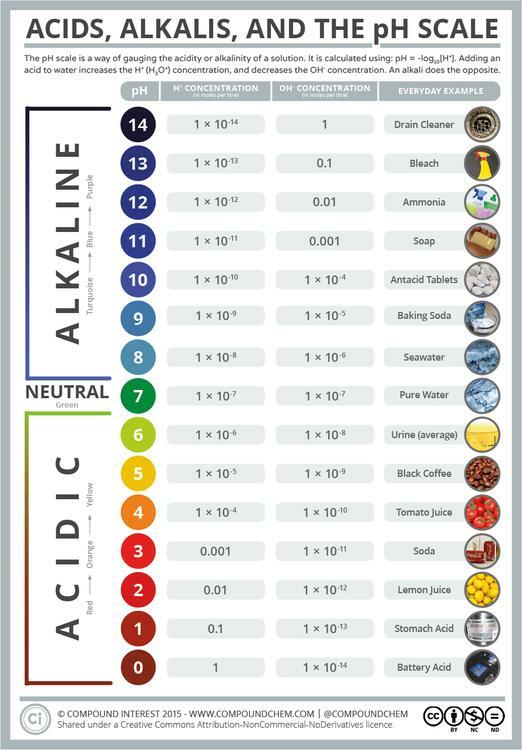 The pH scale is something we’re all familiar with; most people will remember it from school chemistry lessons. It’s the scale used to rank how strong an acid (or alkali) a solution is. The colours associated with each number correspond to the colour that universal indicator turns in solutions of that particular pH. 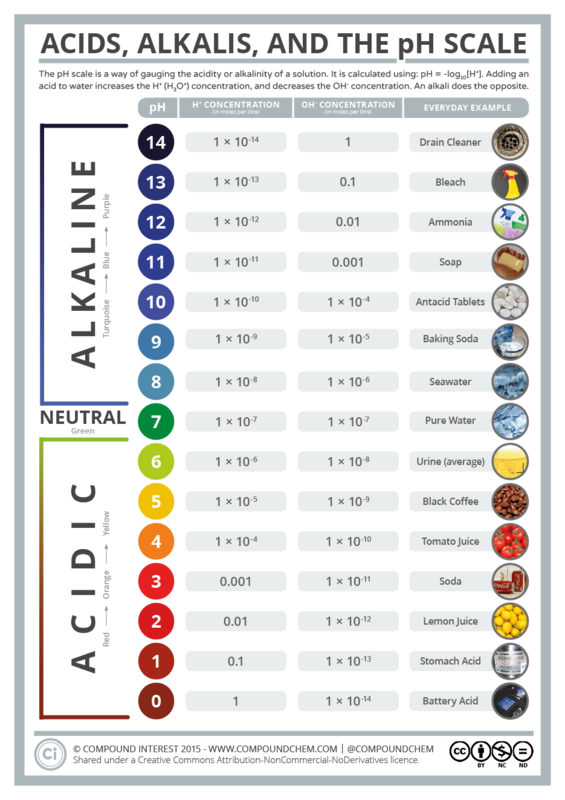 A fair proportion of people probably don’t know the chemistry behind the pH scale, though – where exactly do these numbers come from? The clues are actually partly hidden in the scale’s name. The ‘H’ in pH stands for the element, hydrogen. On a simple level, the pH scale can be thought of as a ranking of the amount of hydrogen ions in a solution: the more hydrogen ions, the lower the pH number. The ‘p’ in pH, to chemists at least, stands for the mathematical operation ‘-log10‘. pH, then, is simply equal to -log10[H+], where [H+] is the hydrogen ion concentration in a particular solution. (Note that, strictly speaking, we’d usually use H3O+ to represent hydrogen ions, as this is the form they take in solutions. However, to keep things simple, we’ll continue to use H+ here).